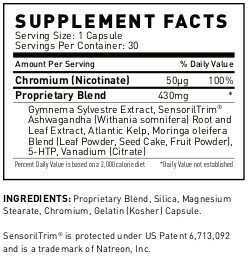 XMpm is a handcrafted formula with Moringa, Sea Kelp, Ashwagandha and Gynema Sylvestre that helps reduce stress, stabilize your mood, combat evening cravings and prepare your body for restful sleep. In today's hectic world, stress is on the rise. Our body's natural reaction can lead to overeating, restless nights and a myriad of other health problems. XMpm works to reduce stress naturally, helping you manage your weight and wake up refreshed and ready to move forward! 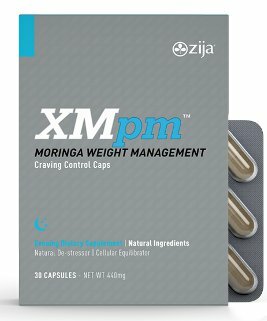 XMpm is an important part of Zija's complete Weight Management System, along with XMam, SmartMix, XM+ Mix and Premium Tea. Take one capsule 30 - 60 minutes before evening meal.